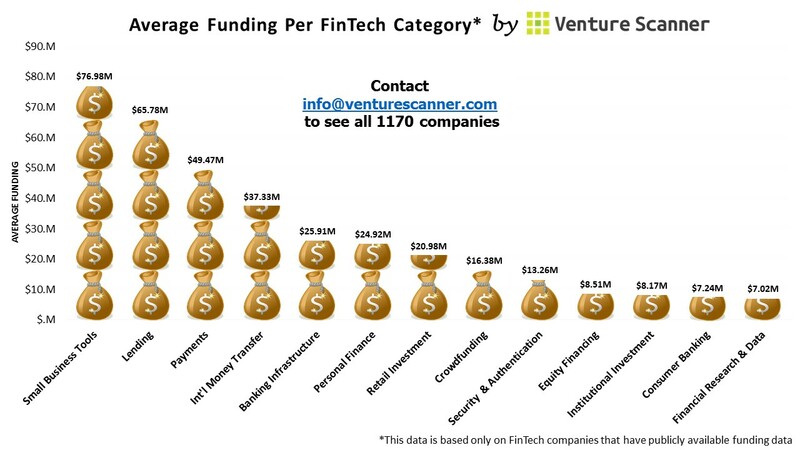 The following infographic from Venture Scanner summarises the average amount of money raised for each FinTech category to show which ones are securing the most funding. The company tracked over 1170 companies in 18 categories across 54 countries, with a total of $20.0 Billion in funding. What is the time frame of this graph? 1st half of 2015? Venture Scanner looked at the companies’ full history of funding, rather than a specific time-frame.